I believe that Children's Books occupy a very important, sanctified part of our memory. There is a kind of magic to them. Probably that's partly because of the way they imprint on us; our Mom or Dad reading to us in bed, a favorite story that we only get to hear at our Grandparent's house; I remember my Dad reading me The Hobbit when my family was in Alcapulco, and the floor of our beach hut was sand, and I could hear the ocean outside while Bilbo invisibly approached the sleeping dragon. I think people have a personal feeling about the children's books they love that is deeper than books discovered in adulthood. These stories are fundamental to who we are. I think Maurice Sendak typified this quality in a profound way. He understood something about the way children exist in the world that is part of what makes his work so lasting and vital; he didn't ever simplify the experience of being a child. He wasn't saccharine, or cute. His stories felt true because they contained elements of terror, of extravagant boasting, and of the animal urges we all have. That is why, perhaps, his stories always felt like they were speaking directly to you, rather than down to you. I remember in an NPR interview with Terry Gross, he spoke about a promise he made to himself never to forget what it felt like to be a child. I think most kids swear this oath to themselves, at one point or another. I remember making it myself. I had a running list of things I would never do to a kid when I crossed over to the other side of the river, into adulthood. Most of the things on the list had to do with not underestimating the depth of children's ability to understand. Because the equipment through which we experience the world is there from the beginning; we have our senses, our feelings, and our ability to remember. What we don't have is experience to measure our new encounters against; we don't yet have "wisdom". And one side of this coin shows itself in the face of a child's hysterical crying over the loss of a toy, or the fear of a horror, or the rage of an injustice---there is nothing to measure those experiences against, therefore they all register as seismic. The other side of the coin, however, is the perpetual sense of wonder, because everything is new, demanding understanding. And this, I think, is quality of experience all great children's books are able to capture; the sense of immediate, strange, and dazzling wonder. 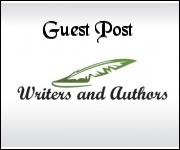 Guest post by Jessica Love. About the Illustrator: Jessica Love grew up in California, with two artist parents. She studied pintmaking and drawing at UC Santa Cruz, then went to study acting at The Juilliard School in NYC. 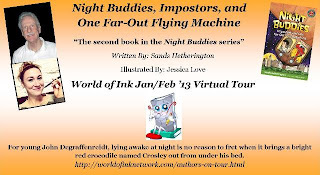 The first book in the Night Buddies series, Night Buddies and the Pineapple Cheesecake Scare is available anywhere books are sold. 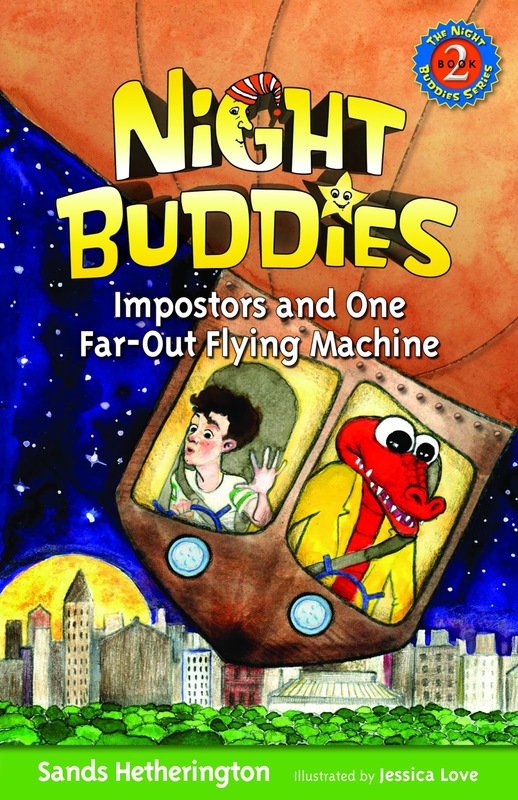 Night Buddies, Impostors, and One Far-Out Flying Machine, the second book in the Night Buddies series, has a ton of mischief going on all over the Borough, done by a red crocodile and causing confusion and hard feelings everywhere, and just released everywhere books are sold. 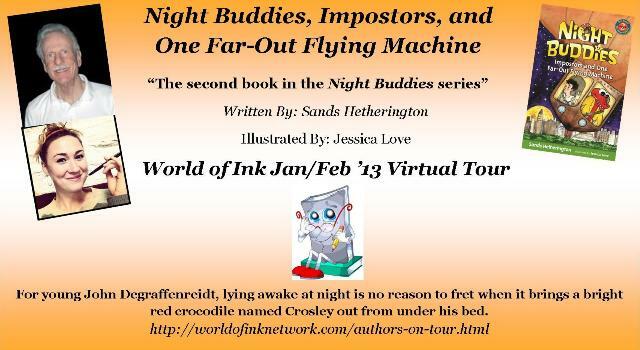 Thank you for hosting Jessica Love on your blog and Jessica thank you for sharing your thoughts on children's books. Thanks for greate post, Make a beautiful book as unique as you than Jaylen Grace is best solution for you. 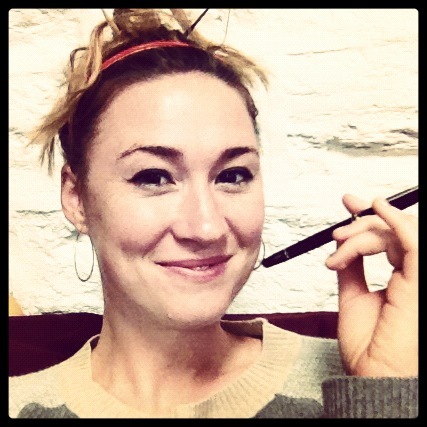 Jaylen Grace is a one of our more talented, creative female entrepreneurs.